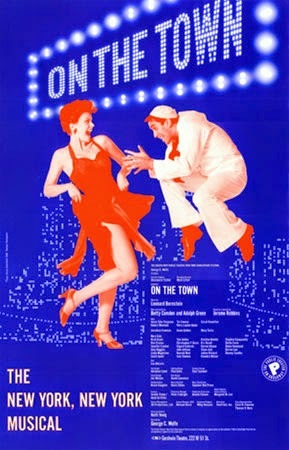 On my trip to Broadway back in 1998, that season’s revival of ON THE TOWN was one of the shows I saw. I had strong images from the MGM movie on my head, but the show wasn’t nothing like it. I confess I was disappointed with it. 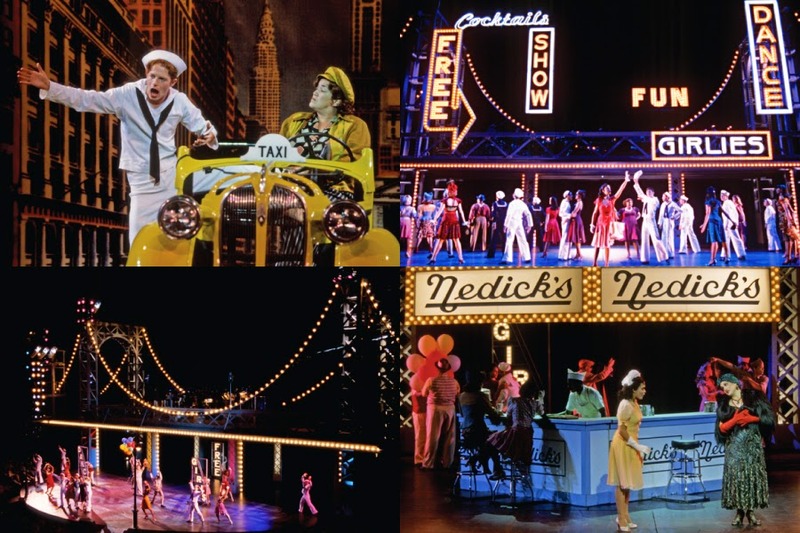 Anyway, since ON THE TOWN is back on Broadway, I decided it’s was a good time to remember the 1998 production. So here is my personal page about it with the review I wrote at the time. 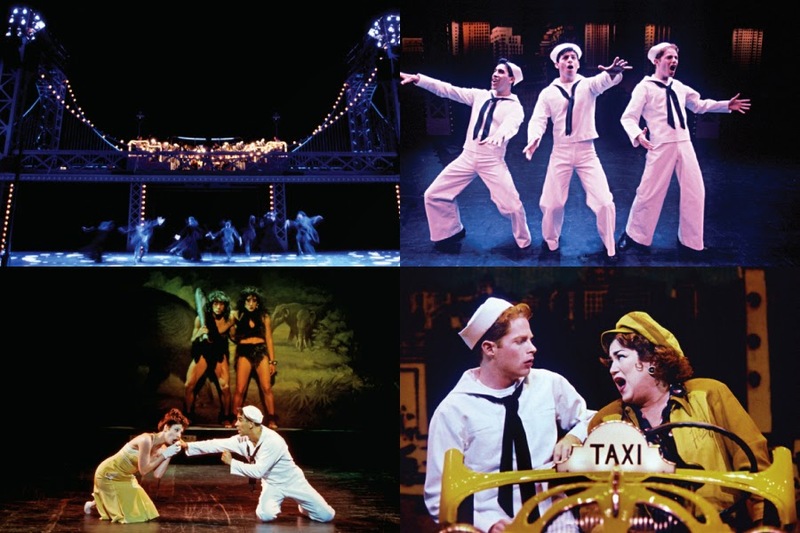 Review: It seems that the classics have taken the 1998/99 Broadway season by storm. Unfortunately not all revivals are worthy of the fame of the originals. That's the case with this ON THE TOWN. 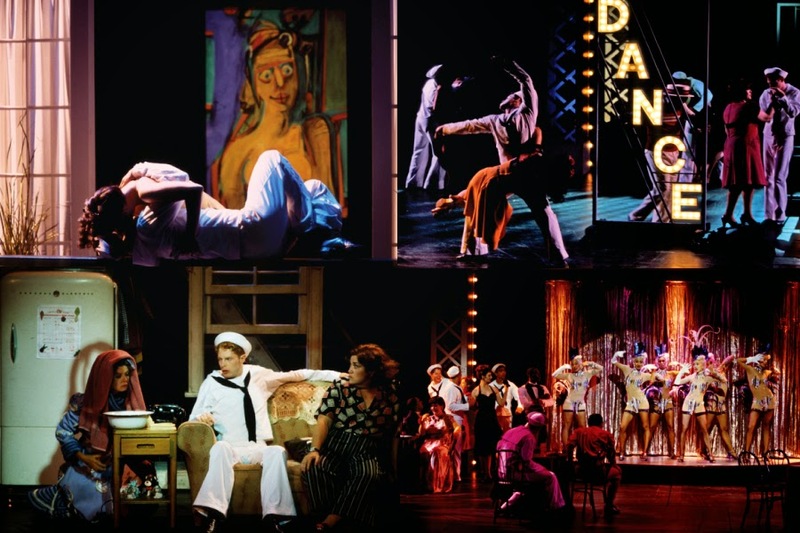 When the show opened on Broadway in 1944 it was a whiff of fresh air and an instant success. The music by Leonard Bernstein was amazingly modern for its time and the book and lyrics by Comden & Green were a perfectly funny match for it. Today the fresh air is gone and what's left could have been a great revival. The cast is good. Perry Laylon Ojeda is a nice Gabey; Lea DeLaria takes star credit as the funny cabdriver; but it's Mary Testa who, as Madame Dilly, steals the show. She is absolutely fantastic and she should get a Tony for her performance. The biggest problem with this revival is the choreography. Several names were attached to it, although Keith Young signed it, but the result is rather boring. For a musical that’s supposed to be funny and happy the dances are too classic and there's no joy in them. On the plus side, director George C. Wolfe takes good advantage of the sets. By the end of the show, I felt like something was missing from the entire evening and wondered if the original was a phenomenon of its time.